After a 2-year hiatus thanks to a new baby, we’re back with the best Non-Boring things to do in Los Angeles’ Eastside because we now have a reliable sitter! It’s going to be a scorcher, again, so keep cool tonight by checking out some iconic flicks with the Rooftop Cinema Club at the Ricardo Montalban Theater in Hollywood. Enjoy wireless headphones, great views, comfy chairs and a little stargazing with “Top Gun” tonight, or “Moonlight” on Saturday. General admission is $19, a snuggly love seat for two is $29. Obsessed with character homes or have a charming Craftsman, Spanish or Mid-Century of your own? 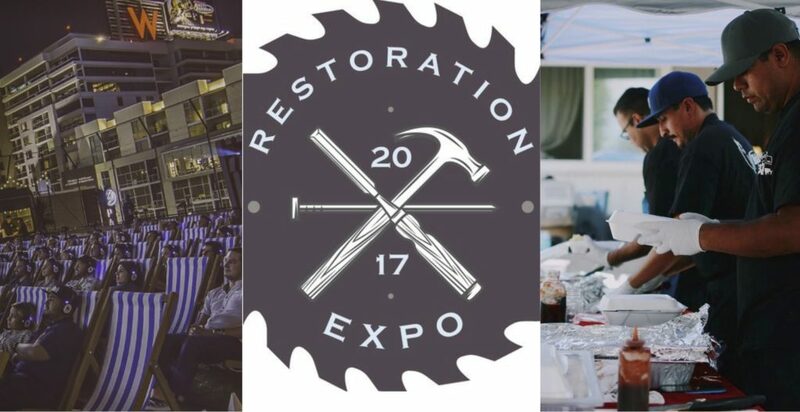 The Glendale Historical Society is hosting, for FREE, Restoration Expo 2017 in beautiful Brand Park. Learn how to maintain, update, and preserve vintage homes and get a tour of the Doctors House Museum, a totally restored Queen Anne Eastlake-Victorian. This year’s topics include window restoration, vintage woods, native California landscapes and for the extra nerdy, like me, Batchelder tiles and vintage tile work! Lastly, HLP BBQ returns to Highland Park this Saturday. @HighlandParkbbq will be serving up some low and slow locally smoked goodness starting at 1PM at 6128 Aldama St, LA, CA 90042. Have a great weekend you lucky, lucky Angeleno!